This lists the major distribution avenues for the film Indigenous Suriname (2008). University Film and Video Association (UFVA) Conference Graduate School Screening, documentary: “Indigenous Suriname”, August 2009. Last fall, we got an email from a Amalia Cordova who works with the Smithsonian National Museum of the American Indian in New York. She asked if we would be willing to have the 2nd film (Indigenous Suriname) entered into their Native American Film + Video Festival 2011. We said ‘Yes!’, of course. Apparently, she had been given the film some time ago during her travels (we don’t know who gave it to her). Then, she saw the Spanish version while judging the X Film and Video Festival of Indigenous Peoples in Ecuador in July 2010 (where it won an award). As she and the committee were screening films for the Smithsonian’s festival, they included Indigenous Suriname. They unofficially approved it and then asked us to complete the paperwork. So, we are traveling to New York in a couple of weeks to attend the screening of the film and answer questions after. The most exciting thing for us is that Leon Wijngarrde will be with us! He is flying up from Suriname and will be there to answer questions and attend the festival, as well. 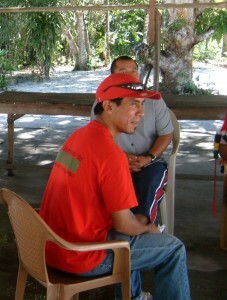 Eric is an amazing Indigenous organizer in Suriname. He works tirelessly to bring tribes together and to bring technology to tribes so that they can document environmental problems. We are looking forward to seeing him and participating in this great event. Thank you to all of our supporters (financial and otherwise) that have helped make this possible. Leon’s trip is being funded by donations. We so appreciate you! And to you who keep passing the film along—thank you! You are making these many venues possible! Last April we were invited (due to a very last minute cancellation) to the East-West Center’s journalism conference. It was held in Hong Kong. 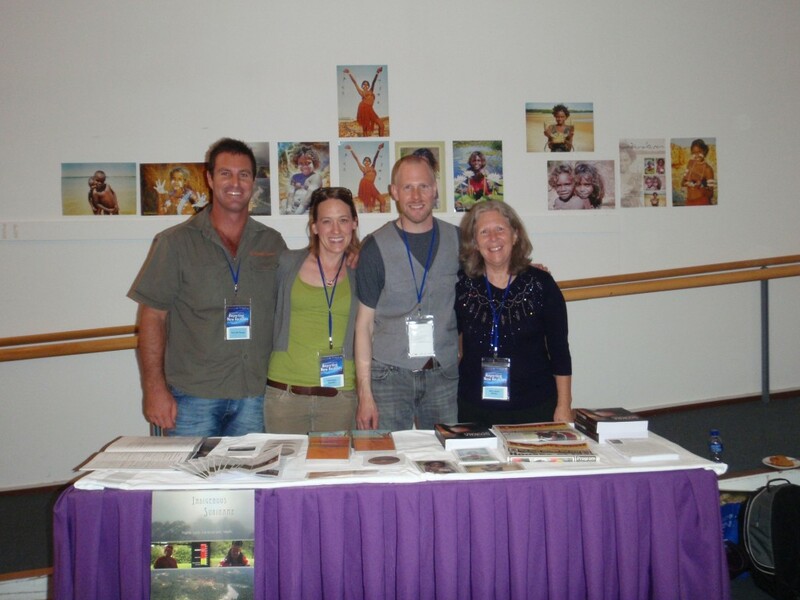 We presented our community-driven production model in a panel presentation with two other documentary-makers from Australia, Martha Mollison and George Fallon. They have worked with minority and Indigenous communities around the world. It was so fun to see their work and present alongside them. They are an inspiration.